Welcome to summer, the most magical time of year along the North Shore. We like to think of long days, sunny skies, warm breezes, and being outside. But summer magic also includes misty mornings, foggy days, and chilly evenings. Those are times when nothing could be better than sitting next to a crackling fire, warming toes, nose, and heart, at the hearth. The stunning stone mural invites you to pull up a chair. 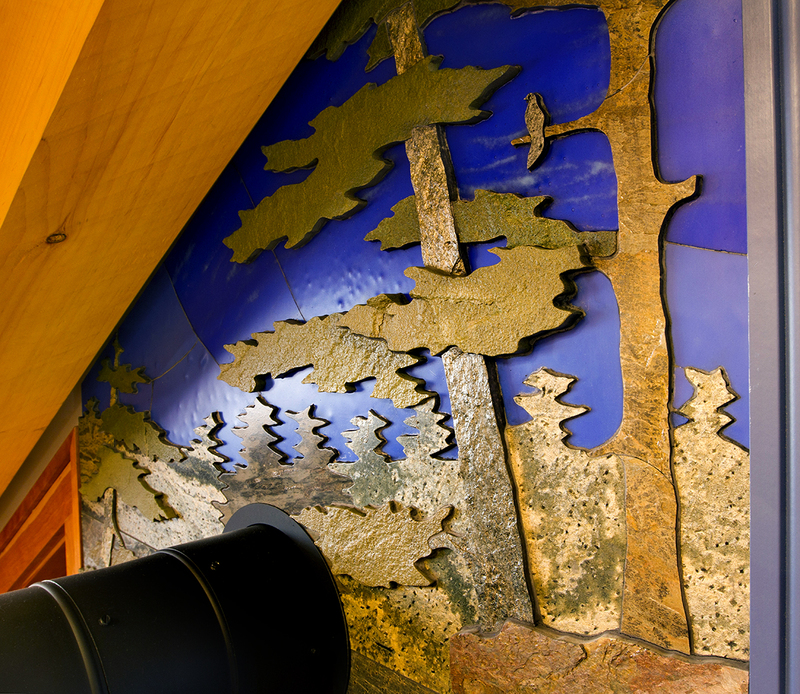 This spectacular custom stone mural is at the heart of the North Shore retreat we finished out. We invite you to pull up a chair. 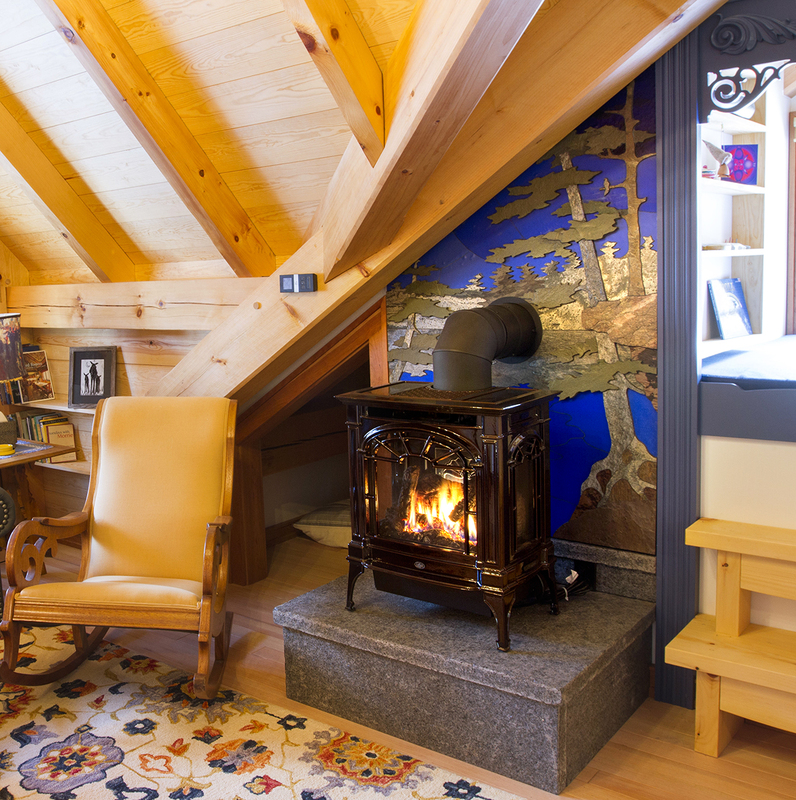 Take a look at the scenery created to bring the magic of the outdoors inside, into the heart of this cozy retreat. Stone artisan, Larry Beaumont, of Beaumont Stoneworks in Duluth, created this beautiful mural. Think stained glass in stone. Beaumont uses a combination of stone, glass and tile for a full range of colors and textures. Beaumont uses a computerized water jet cutter to cut the individual “puzzle pieces”. 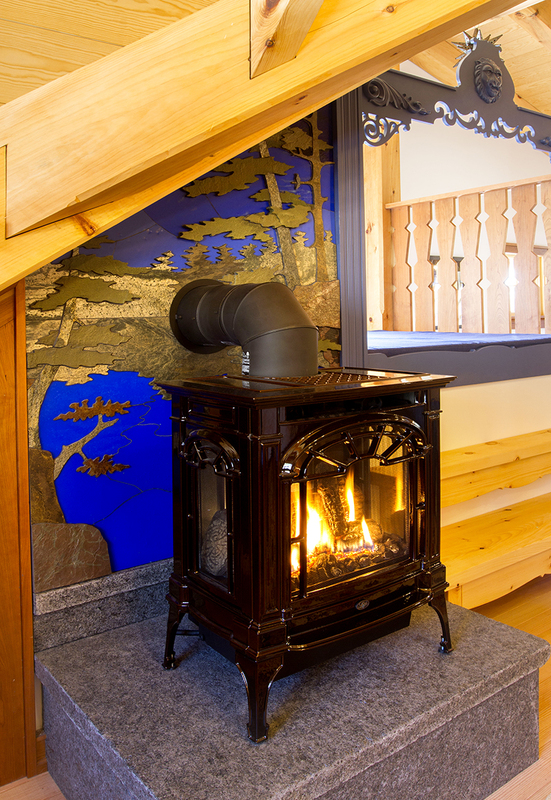 Stone Mural Magic perfectly frames the cozy stove. Veneers of varying thickness in stone, glass, and tile create a magical 3D effect. 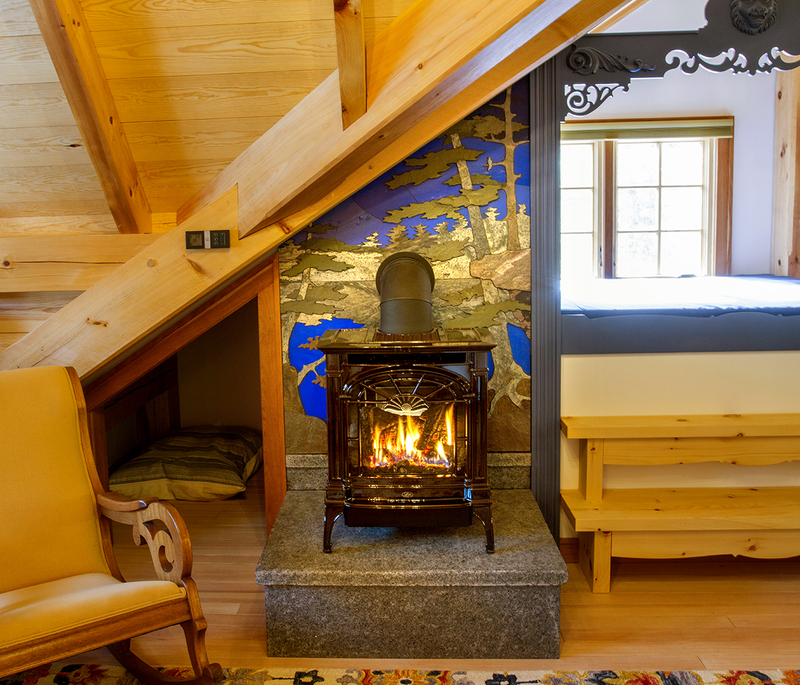 You may notice the cozy nook to the right of the hearth. This is a modern take on the Scandanavian “wall bed,” which we left open to allow light from the window into the kitchen and living area. Stone Mural Magic — completely enchanting! Our clients are delighted with the space, and the grandchildren have the perfect nook to settle in with a book. Can you imagine enjoying a space like this? We’d love to help you create a little magic in your own space whether you are thinking of a building or remodeling project. Let’s get creative together and discuss design options to include any magic you can imagine. There are no limits!